Getting into a car accident is gut-wrenching enough. Sorting out all the legal details afterward shouldn’t have to be. When you’re injured in a car accident, you need someone on your side who will remind you of your rights and fight to ensure they’re protected. That’s where a Houston car accident lawyer come in. Filing a personal injury claim can be anything but simple. From medical expenses to lost wages, there can be many things to account for. Each comes with its own set of cumbersome paperwork. A Houston car accident lawyer is trained and certified to take the pain out of the process. While you recover from your accident, our attorney will be busy ironing out all the details so you can recover what’s rightfully yours. Globally, between 20 and 50 million people are injured in car accidents each year. Injuries resulting from car accidents can cause significant and serious damage, and can even lead to death. If an accident occurs to you or your loved one, your focus should be on getting the proper care as quickly as possible. Figuring out all the legal details should be the last thing on your mind as you begin the journey to recovery. A Houston car accident lawyer can step in and get to work right away, ensuring that all legal deadlines are met on time. For instance, did you know that in Texas, the deadline for filing a personal injury claim is two years? That may sound like plenty of time now, but when you’re dealing with a long-term recovery effort, two years can fly by fairly quickly. Medical bills begin accruing immediately after care begins, and you can lose wages the day you fail to show up for work. Working with the right Texas car accident lawyer can make all the difference in how quickly you receive the compensation you’re due. Car accidents that result in damage to your vehicle, body, or both, will need a car insurance settlement. Yet, this process is more involved than just sending a demand letter to your insurance company and waiting for the check to arrive. Even after working with an insurance claims adjuster, you could be short-changed if you’re not intimately familiar with what’s required of you. You also must know what you can request from them. A Houston car accident lawyer can help you track down and assemble all claim-related documentation so you can be sure everything’s covered. From photographs to medical receipts, there are a plethora of items the car insurance company will want to see. These will be used to determine the amount of your settlement. The more data you present, the greater your chances are of receiving the full amount of your requested claim. A car accident attorney can work on your behalf to obtain this information, so you won’t be saddled with an extra headache during your recovery. In addition, our attorney will even negotiate with the insurance company on your behalf, helping to ensure that you get the fair, reasonable claim you deserve. This way, you won’t be left wondering if what you received is an honest deal. You’ll know it is. Each state has its own set of rules, regulations, and laws when it comes to car accidents, and Texas is no exception. One law is that there’s a 10-day window after your accident in which you’ll need to submit a Crash Report, Form CR-2. There are even detailed insurance laws. For example, Texas is considered an at-fault car insurance state. This means parties who are deemed responsible for causing a car accident are required by law to pay for the damages they cause. There are many other legalities to consider, and many states, including Texas, have their own versions and specifications. Unless you’re a legal professional, chances are you’re probably not intimately familiar with all of them. At de Lachica Law Firm, not only are we familiar with these laws, but we know the ins and outs of them. Our lead attorney will take care of both state and federal-specific statutes so you’re covered on all fronts. 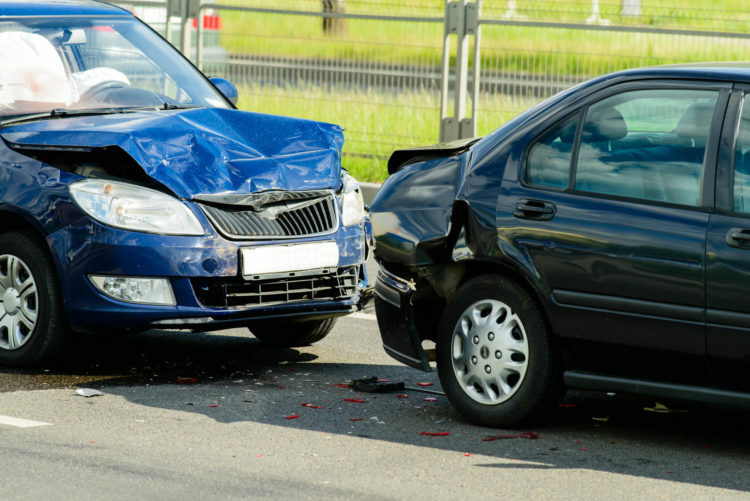 We can even assist with claiming damages that result from specific types of auto accidents. Examples include accidents that occur by drivers who are texting while driving, or driving drunk. Armed with the full scale of legal knowledge, your lawyer won’t let a single detail slip past when it comes to your auto claim. We will also break down all “legalese” to you, so you can fully understand the process and what they’re doing. Our diligence is your direct benefit. Failure to comply with even one legal requirement could significantly affect your claims processing. At best, it could push back the time until you receive your benefits. At worst, it could mean missing out on some of your payback altogether. The period after an accident is time-sensitive. Having someone on your side who knows exactly what you need to do can make all the difference. All injuries are different. Accident-specific injuries have specific considerations you’ll need to keep in mind as you negotiate your care. Our Texas accident attorney has dealt with scores of accident-related medical issues. We are perfectly positioned to provide recommendations on your best course of action as you seek medical assistance and short to long-term care. In addition, we have dealt with many medical professionals in the area. This means we can provide advice and guidance on who can provide the best care for your specific need. Our attorney can also help you keep track of all important medical documents you’ll need to provide the insurance adjuster to maximize your claim. By keeping a close watch on your health records and recovery progress, our lawyer can take notes on how your injuries are affecting your daily life. This includes alerting you on any implications a seemingly minor injury could carry with it. For instance, you may have a soft-tissue injury, such as a sprained ankle, that appears minor at first. However, it could affect your ability to perform successfully at your job for months into the future. Or sometimes, there are accident-related injuries, you can’t even see or feel at first, but that manifest themselves psychologically after impact. Examples of this type of injury include post-traumatic stress disorder (PTSD) and depression. Lost wages, short-term disability, and more can factor into your insurance claim. You’ll need someone who’s dealt with it all to make sure nothing is missed when you complete the paperwork. Your lawyer will be able to factor these considerations and more into your settlement to ensure it’s enough to cover all the care you’ll need. This way, you’re covered. Not just for now, but also long into the future. Working directly with a car accident lawyer typically results in auto insurance companies providing a reasonable settlement. Yet, there may be times when the two parties simply can’t come to an agreement, and legal action is required. If this happens, or if your injuries end up costing more than you were insured for, our attorney can take your case to court. If you pursue this route, your car accident lawyer will be there to represent you. Your lawyer can look at the accident from all angles, and prepare the strongest case for you, working to ensure your voice is heard. While statistics show that very few personal injury cases make it all the way to a trial, it’s good to know that in the event this does occur, you’re more than covered. Meeting with a car accident lawyer costs nothing, but could gain you everything. Most Houston car accident lawyers offer free, confidential, no-obligation consultations to go over the details of your accident and what you may be eligible to receive. This initial conversation can uncover valuable details and jump-start the representation process. It can also help resolve any unanswered questions you may have. In addition, it gives you a forum through which you can ask questions, take notes, and absorb initial legal advice. Ultimately, the decision to hire a personal injury lawyer is a personal one and totally up to you and your parties involved. Free initial consultations simply help establish this working relationship and get the ball rolling on any action required. The time after a car accident can be one of the scariest, most complicated times in your life. Our Houston car accident lawyer is here to take the challenge and confusion out of it by providing top-notch legal care every step of the way. If you’d like more information on the assistance we provide or feel you or a loved one would benefit from our services, we’d love to hear from you. Feel free to contact us or browse our blog archive for subjects of interest. You bring up a good point that each state has a different set of legalities to consider. It’s important that you have an attorney who understands those laws and how they apply to your specific condition. That way, you can get the personal help you need in your unique claim with insurance, whatever that may be.